Holme Farmed Venison has been supplying the catering trade for over 20 years. 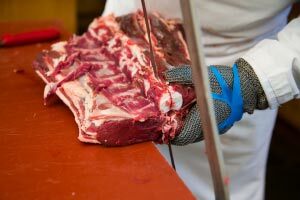 We have our own production factory in Yorkshire with our own team of specialist in-house butchers. We produce prime venison from animals reared naturally on our own farms and parks across the UK. We supply many top hotels and restaurants as well as pubs, deli’s and farm shops in Yorkshire and across the UK. Our farmed venison is available all year round which means we can deliver a constant and consistent supply to the catering industry. As consumers become more concerned about where their food comes from and what’s in it, our traditionally-reared, healthy, low-fat meat fits the bill perfectly. 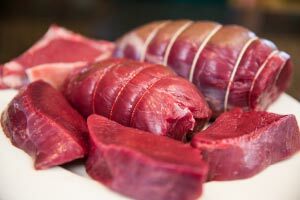 If you are going to eat red meat, the healthiest option by far is venison. Demand for venison has been rocketing year on year due to its natural qualities as one of the healthiest meats available and we are perfectly placed to provide you with a constant supply of high quality venison. As a catering customer we can offer fast delivery and trade prices. 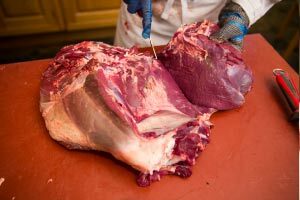 Our team of in-house butchers cut all our venison to order allowing our customers to choose the size and specification they need. to discuss our cuts, prices and delivery options.